Simply stunning! Complement your boho chic style with the unerring beauty of the Kate Spade New York® Thea wedges. 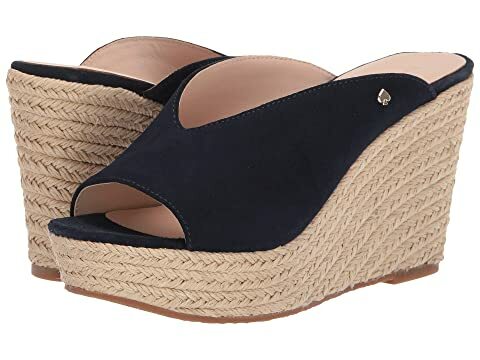 Raffia wrapped platform and wedge. We can't currently find any similar items for the Thea by Kate Spade New York. Sorry! These aren't comfortable and are really narrow but they look fantastic! These are beautiful shoes and I so hoped they would fit. I tried a 7 first which I could not even get on my foot. Then a 7 1/2 which was way too tight. A size 8 would have been way too long on my foot.